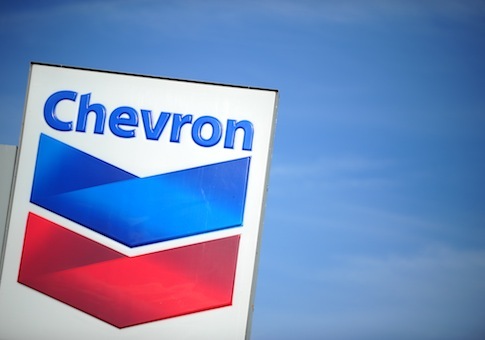 The International Criminal Court last month rebuffed efforts to charge oil giant Chevron with violations of international law, dealing another setback to environmentalists engaged in a decades-long legal and political battle against the company. In 2014, groups representing rainforest communities in the Ecuadorian Amazon asked the ICC to investigate Chevron for contamination associated with oil extraction by Texaco, which Chevron acquired in 2000, and Petroecuador, the country’s state-owned oil company. "The Prosecutor has … determined that there is not a basis at this time to proceed" with an investigation into Chevron’s role in that contamination, the court said in a March letter obtained by the Washington Free Beacon. The request for investigation came from Pablo Fajardo, an attorney for the Ecuadorian plaintiffs that obtained an $18 billion judgment against Chevron in an Ecuadorian court in 2011. That judgment was the result of a criminal campaign of fraud, bribery, and extortion, according to a U.S. federal court. The court found a number of the plaintiffs, including lead attorney Steven Donziger, guilty of civil racketeering charges last year. Chevron brought that suit in an attempt to prevent Ecuadorian judgment from being enforced in countries in which it has assets. It has none in Ecuador. However, the plaintiffs also sought international recourse. "Instead of complying with the Ecuador court order in its preferred forum, Chevron, under [CEO John] Watson’s personal direction, launched multiple collateral attacks against the judgment and the lawyers who represented the affected communities," Amazon Watch, a group supporting the plaintiffs, said in a statement announcing its ICC complaint last year. "The health conditions imposed on the indigenous and farmer communities that live in the Oriente constitute a serious and sustained attack on the population that has lived there peacefully for centuries," the complaint stated. Chevron asserts that Texaco satisfied its contractual responsibilities to clean contaminated areas, and that any remaining pollution is the responsibility of Petroecuador and the country’s government. However, plaintiffs hoped that the ICC—to which Ecuador, but not the United States, is a signatory—would further sanction the company. The court dealt a blow to that strategy last month, saying it does not have the authority to further investigate or prosecute Fajardo’s allegations. "Based on the information currently available, some of the allegations described in the Lago Agrio Plaintiffs’ communication do not appear to fall within the Court’s temporal jurisdiction, and other allegations do not appear to fall within the Court’s subject-matter jurisdiction," the court wrote. According to the ICC’s charter, it can only prosecute crimes against international law that took place in 2002 or later. Texaco has not operated in Ecuador since the early 1990s. The court’s "subject matter jurisdiction" includes "genocide, crimes against humanity, and war crimes," ICC’s letter said. It does not extend to claims of environmental damage. Amazon Watch did not respond to questions about the ICC’s decision or its strategy going forward concerning international law. Update: A previous version of this story said that Amazon Watch filed the request for the ICC investigation. This entry was posted in Issues and tagged Chevron, Ecuador, Oil. Bookmark the permalink.